College isn’t free. In fact, if you add up how much a four-year degree can cost, you’ll soon see it’s the price of a house or more. California scholarships and grants programs that are available. There is funding available. You just have to dig in and really look for it. Take a big breath and think about all you have to offer various organizations. State-funded scholarships and grants are a solid bet. To qualify for such funding, you need to be able to show that you are a legal resident of the state. The great thing about such California scholarships and grants is that there really is something for everyone. The funds are available for people not only graduating from high school but for those who may be a year out of high school. This is important because it takes into account the fact that many students need time to really consider where they want to school. Taking a year off between high school and college can give a student the chance to clear their head and make a smart decision about school. Another great feature of the Cal Grants Program is that there is some leniency in terms of who can qualify for the grant. You may be incredibly intelligent but have not received a diploma. If this is the case, all you need to do is send in records that you took the ACT or SAT. These scores will need to be send to the California Student Aid Commission. The Cal Grant is a program that provides tuition money to students who have been accepted and will attend schools in the California State University system or University of California schools. If you want to attend a private college, you can still earn some funds. For example, you may receive up to $8000 for a private school program. To be eligible for this grant, you will need to enroll in a four-year degree seeking program. Cal Grant B is tailored for those who are financially disadvantaged. The grant is given out in increments, covers tuition, books, and other college expenses. Following the first year of the grant, students can then receive tuition grants like those offered under the Cal Grant A program. Cal Grant C grants are those that are focused on offering funding to those who want to engage in a vocational or community college degree or program. Some candidates may receive $2500 for tuition whereas others will receive $575 for books. Cal Grant A Competitive Awards are given to those students who can demonstrate need. California students who had or have a GPA of 3.0 or higher qualify for this type of funding. You will also need to be enrolled in either a two or four year program. Cal Grant B Competitive Awards are given to financially challenged students. To receive these funds, students have to have a minimum GPA of 2.0 and be enrolled in at least a one year degree seeking program. There are also California scholarships and grants programs directed at specific schools. 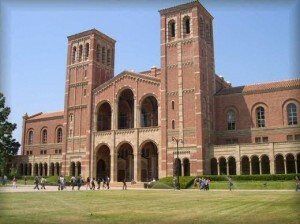 For example, you can find a range of scholarships and grants for the world-renowned University of California – Berkeley. This state school is one of the best in the world. The following are just some of the many awards they have to offer students. The California Alumni Association Scholarships are focused on undergraduate students and are broken down into two main types or awards. The Leadership Awards are merit-based and given to freshman and transfer students. The students who receive the award are said to show an aptitude for leadership. This award ranges up to $2500 per academic year. The Achievement Awards are given to students who show financial need and come from disadvantages backgrounds. If you have had many challenges to overcome, this may be the award for you. The award has been said to go up to as much as $5700 per academic year. Another Berkeley specific scholarship is the Cal Opportunity Scholarship. This award is offered to disadvantaged students so that they have a chance to make it into one of the best schools in the world. To receive this award, one will have to have attended one of the partner high schools in the following school districts: Ravenswood, San Francisco, West Contra Costa, and Oakland Unified. To receive the award, students will have to apply and go through an interview process. If you want to find some really great California scholarships & grants programs, you need to use the Internet. This resource will help you find hundreds of programs for California residents. You never know which California scholarships & grants programs you will qualify for. The more programs you see and apply for, the better your shot at actually securing the funding you need to attend the school of your dreams. Another great option to look into when looking for California scholarships & grants programs are programs designed for minorities. This could mean looking for grants that focus on women or those focused on African Americans, Asian Americans, or Native Americans, among other groups. These funds are in place to really even the playing field so that people can get a fair shot at an education. If you remotely qualify for such California scholarships & grants programs, take the time to apply for them. You never know what might happen! Some California scholarships & grants programs will ask that you fill out an application and submit an essay that explains why you are most deserving or in need of the desired funds. Take the time to really explain yourself. This is a chance to not only answer the question but to also show the organization a little bit about your personality and life. The more specific and well-written your essay is, the more memorable you will be to the group. Have loved ones read over your essay so that you can be sure that it is as error free, memorable and clear as possible. When applying for California scholarships & grants programs, you want to be sure that you appear responsible, professional, and motivated. A single error on an application can really mar your first impression. This is why you need to fill out applications carefully. Try to go somewhere without distractions so that you can really focus on this. Additionally, ask friends and family members if they will go over your application materials to ensure that you really do not any errors or even things like food and drink stains on the papers. Always make photocopies of all of the documents you send to California scholarships and grants programs. This will help you if the organization says your application is missing important documents or if you want to use essays or forms for other programs. Additionally, if you keep files or copies of your applications, you can keep track of what funding you applied for when. In future years, you can take out this application, tweak it, and try again. Students across California are applying for the same grants and scholarships as you are. Thus, you need to be at the top of your game. Do not procrastinate when it comes to writing the essays or filling out the documents. Work ahead so that you can submit completed applications as early on as possible. Organizations won’t care if you have a family emergency or if an accident occurs. If you work ahead, you can be sure to meet all scholarship deadlines. An education is a priceless investment. Once you have a degree, many doors will open for you in life. Your job options will expand and you will have a leg up on people who do not have a college education. This is why you really need to dig in and fight to find the money you need to attend the school of your dreams. If you take your time, know what’s out there, and really work hard, you will be able to track down and receive some great funding for school. It really is a detective game! Be aware of the impression you give scholarship and grant committees and you will no doubt be a contender for funds that could help you pay for school. Don’t play around when it comes to paying for college. If you are willing to do the work, you will surely reap the rewards. I am a minority student currently enrolled in my undergraduate degree at San Jose state university I am interested in any grants I may be suitable to apply for. I am a college freshman student which needs money to pay for my college education and become a construction managment engineer. I am interested in any grant or scholarship I can apply for . thank you!. am an orpan and i don,t have money to continue my studies please i need dis scholarship may almighty bless u. please i need dis because it is my future.